The ecoCool K28 2.4KW Remote Power Station Remote Power: The K28.27.24 is designed to provide remote equipment power from 2.7KW of solar panels and supply up to 2.4KW (3KVA) remote equipment power. The K28 range contains durable Victron Phoenix inverters and Bluesolar MPPT solar controllers. 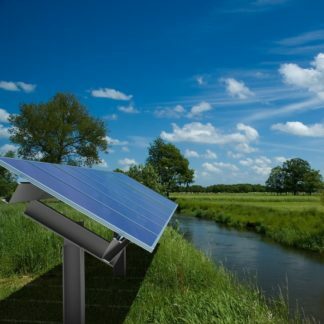 The solar mounting frame is highly durable galvanised steel. Options: larger sized electrical enclosures, Stainless Steel enclosures, keyed locks, custom mounting frame dimensions & angle. Power: 2400W Nom / 6000W Max. 6000W Max, 3KVA, 2400W Nom.